Name a song, and she’ll sing it. 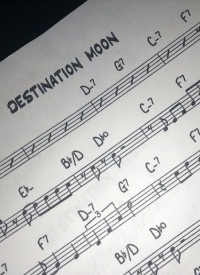 Judy Chamberlain’s first love: jazz. 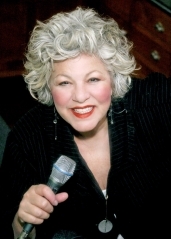 Jazz singer Judy Chamberlain is a New York native, and up until about a year and a half ago, she lived in Los Angeles. Now she’s in Dallas with her husband and pretty happy to be here. Chamberlain must at least have known that her song list would pique the interest of even the most casual jazz fan. Her repertoire includes roughly 4,000 songs, from “Ain’t She Sweet” to “Zing! Went the Strings of My Heart.” Even if this number were halved, it would testify to an incredible memory. One of those guys was Al Viola, a jazz guitarist who worked on and off with Frank Sinatra from the late 1940s until 1980. (He died of cancer in 2007.) He compared her skills to those of Sinatra, but that was hardly the only inspiration he provided. Slick could describe Chamberlain, who has been singing professionally since she was 13. Yet a little more than 20 years ago, she was employed as a newspaper columnist and a broadcaster on radio and television in Los Angeles. The consolidation and programming changes of media companies convinced her to get back to her first love. Chamberlain and her band — pianist Mike Garvey, drummer Chris Holmes and bassist Jeffrey Eckels — are looking forward to chatting, as it were, to the crowd at Lakewood’s Balcony Club on Tuesday. Jon M. Gilbertson is a Wisconsin-based freelance writer.